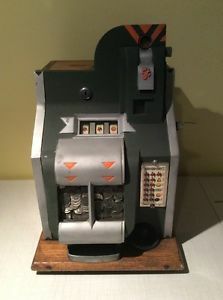 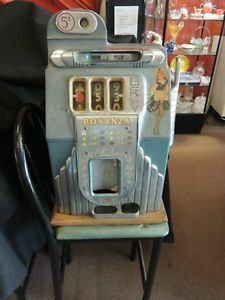 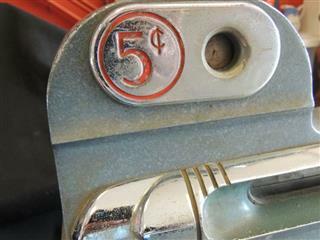 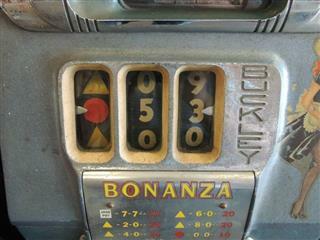 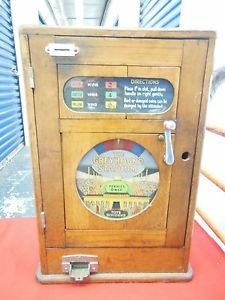 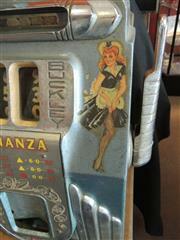 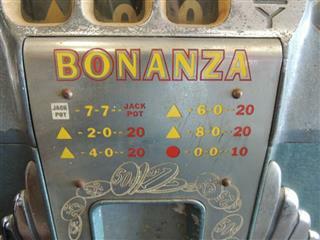 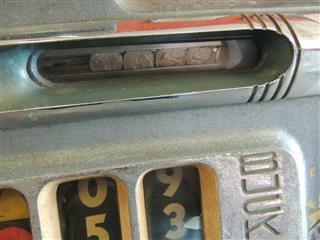 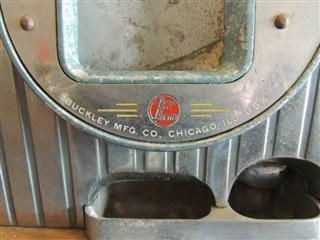 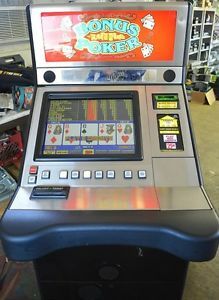 Up for sale is this antique Buckley Bonanza slot machine. 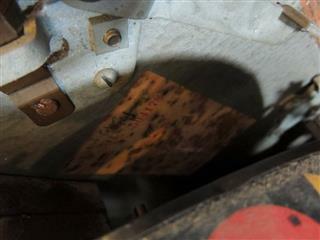 There is a little corrosion on some of the metal parts. 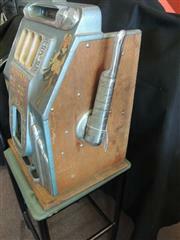 It is missing the back, and possibly a piece above the payout cup. 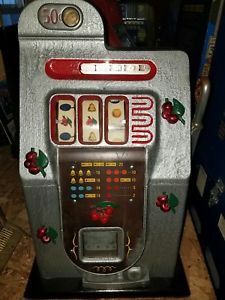 We’re not sure what else might be missing, or if all else is working properly. 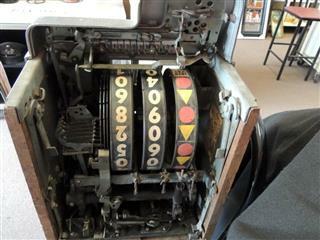 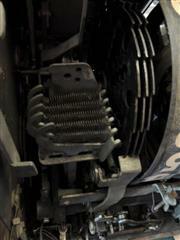 This is a beautiful vintage machine, that needs a little professional TLC.